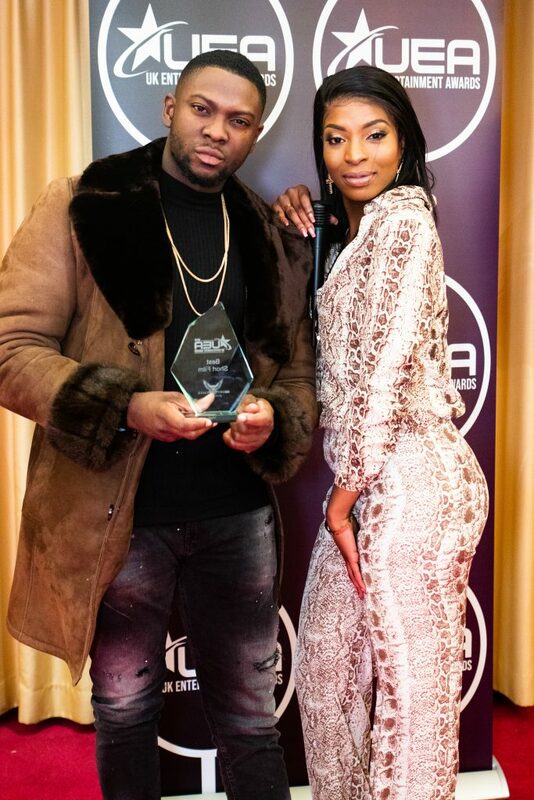 The UK Entertainment Awards held it’s annual award show in Hilton Marriot Hotel in Canary Wharf. It is the show’s 5th year running, founded by Shinel Critchlow in 2013, it has been a success and is known for continuously shining light on the UK’s talent. The red carpet was walked by many known faces such as Patrick Truman (Rudolph Walker), Rapman and the cast of Shiro’s Story, Vee Brown, Zeze Millz, The Be Positive choir and many more. The night started with lots of wine on my behalf, edibles which looked and tasted delicious, flashing lights and a room full of eye candy. Both male and female. Everyone was dressed to impress strutting their stuff on the red carpet. Our presenter, Along Came Audg, talked with many nominees on the red carpet about how they felt being at the awards and their nominations. Hosted by comedian, Axel Blake, the audience was filled with laughter. His jokes on ladies walking in heels with Bambi legs to TFL morning commutes and fighting to get onto the train to how his wife will walk down the aisle to Aidonia Pon Di Jocky had the room lit up and in stitches. The vibe in the audience was amazing, the room filled with excitement and anticipation as to who would win. 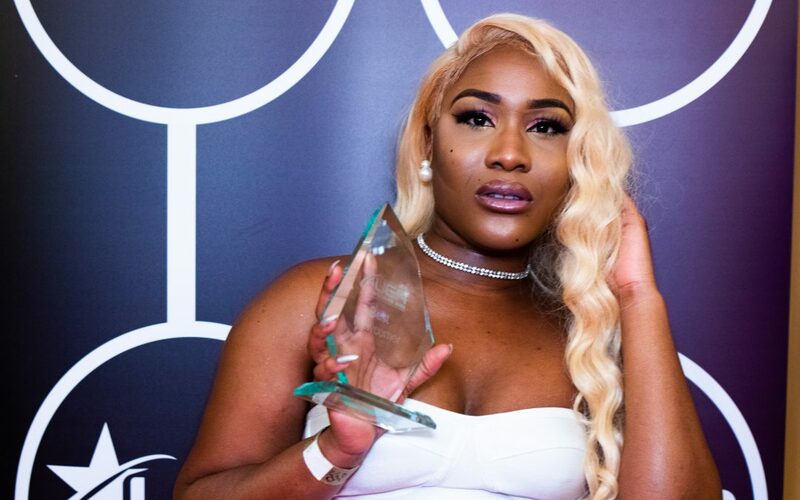 When winners such as Rapman and the Shiro Story Cast to Vee Brown, Rachael Anson and Alicai Harley walked on stage the audience cheered while a few such as Alicai Harley and Rachael Anson greeted the stage with a dance. Three memorable awards which were presented were The Legendary Award and Community Inspiration Award, as they specifically shone light on talents who have helped the community. Amani Simpson, winner of Community Inspiration Award was stabbed 7 times and is now releasing a short film about his life staring Jiovan Wade. He has included over 40 school children on his project which was covered by BBC news. The two Legendary Awards were received by Rudolph Walker, actor of Patrick Truman in Eastenders, for his work with his acting foundation and Omar, the legendary soul singer, for his achievements in music. There were so many great performances by the likes of Be Positive Choir, who promote giving blood, Jahmene, a previous X Factor contestant, Emmanuel Speaks, J Hope, Deina, Emmanuel Smith and finally Zalon, a soul singer. Each performance showed off and celebrated UK talent from choirs to violist to spoken word, the goal for the awards. Each performance was amazing but my personal favourite was Emmanuel Smith as he took me to church. His speech included thanking God for what he has done and allowed him to do as an artist. The room filled with praise as he got us to join in with his own written piece and you could feel the subtle worship in the room. To end the award show, Chanel Critchlow, the founder of the awards gave a speech thanking everyone who helped organise the event, the performers, Axel the host and all those who attended. Overall the night was one to remember and I’m sure after the success of this year we will be there again in 2019.